Norman Lamm Knowing vs. Learning: Which Takes Precedence? Doniel Schreiber The Brisker Derekh Today: Are We Pursuing the “Path” Envisioned by Reb Hayyim? Rabbi Hayyim Angel is Associate Rabbi of Congregation Shearith Israel of New York and teaches Tanakh at Yeshiva University. Steve Bailey, Ph.D., is Director of a four-year Judaic Studies curriculum development project at Moriah College in Sydney, Australia. He was co-founder and educational director of an experimental Jewish High School in Los Angeles that pioneered the Kohlbergian “Just Community” model. Dr. Bailey has written two books; the latest is a co-authored work entitled, Curriculum: Real Teachers in Focus—A Study in Jewish Education. Rabbi Yitzchak Blau, currently a rebbe at Yeshivat HaMivtar and formerly at the Yeshivah of Flatbush High School, has published articles in The Torah u-Madda Journal, Tradition and Ten Da’at . Rabbi Chaim Brovender, President of ATID, is Rosh Yeshivah of Yeshivat HaMivtar in Efrat. Erica Brown is a teacher and writer, the author of the forthcoming The Sacred Canvas: The Hebrew Bible through the Eyes of the Artist. She and her husband have four children and reside in Silver Spring, MD. Rabbi Shalom Carmy teaches Jewish Studies and philosophy at Yeshiva University and is Consulting Editor of Tradition. He is editor, most recently, of Modern Scholarship in the Study of Torah: Contributions and Limitations. Dr. Yoel Finkelman, a graduate of the ATID Fellows, teaches in several one-year programs in Israel. His doctoral dissertation, entitled “Religion and Public Life in 20th Century American Jewish Thought,” was recently completed for the Department of Jewish Thought at the Hebrew University of Jerusalem. Rabbi Asher Friedman, formerly an ATID Fellow, is a musmakh of the Rabbi Isaac Elchanan Theological Seminary and is completing an M.A. in Jewish Philosophy at the Bernard Revel Graduate School. Asher teaches at Yeshivat Lev HaTorah, an innovative post-high school men's yeshivah, in Ramat Beit Shemesh, Israel. Dr. Beverly Gribetz is principal of the Evelina de Rothschild Secondary School for religious girls in Jerusalem and has been teaching Talmud for nearly thirty years. Dr. Gribetz is a member of the board and faculty of ATID. Rabbi Dr. Norman Lamm, chancellor of Yeshiva University and Rosh Yeshivah of its affiliated Rabbi Isaac Elchanan Theological Seminary, was President of Yeshiva University from 1976-2003. Rabbi Aharon Lichtenstein is co-Rosh Yeshivah of Yeshivat Har Etzion in Alon Shevut, Israel, and a maggid shi`ur at the Gruss Center of Yeshivat Rabbeinu Yitzhak Elchanan in Jerusalem. 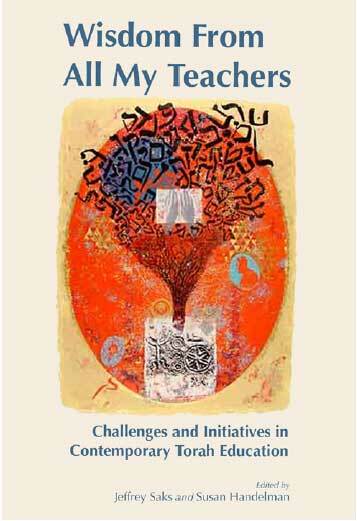 A collection of his essays was recently published as Leaves of Faith: The World of Jewish Learning. Gilla Ratzersdorfer Rosen is Rosh Beit Midrash of the Israeli program at Midreshet Lindenbaum and works at developing curriculum for adults in Bible, midrash, and Talmud at Beit Kenesset Yakar in Jerusalem. She holds an M.A. in Comparative Literature from Manchester University and is a certified as a yo`etzet halakhah (halakhic advisor) from Nishmat. Rabbi Gidon Rothstein is the Gruss Scholar in Residence at NYU Law School, has taught Talmud and Tanakh at The Frisch School in Paramus, NJ, and lives in Riverdale, NY, with his wife and children. He is a musmakh of Yeshiva University with a Ph.D. from Harvard University in Jewish History and Literature. Rabbi Doniel Schreiber teaches at Yeshivat Har Etzion in Alon Shevut, Israel, and is Director of its Overseas Student Program. He has an M.S. in Medieval Jewish History from the Bernard Revel Graduate School and rabbinic ordination from the Rabbi Isaac Elchanan Theological Seminary. Rabbi Moshe Simkovich is the founding Head of School of Stern Hebrew High School in Philadelphia and teaches at the University of Pennsylvania Hillel. He previously taught at Maimonides School and at Maayan, in Boston; served as Orthodox Adviser at Brandeis University Hillel; and was Rabbi of Congregation Shaarei Tefilla. Dr. Dodi F. Tobin, an ATID Fellows graduate, has a Ph.D. in Clinical Psychology from Fairleigh Dickinson. She is the Director of Social Services for the Nefesh B'Nefesh Foundation, and previously served as the Director of Student Affairs at Pardes Institute of Jewish Studies. Yael Unterman has taught and lectured in a wide range of frameworks including Pardes, MaTaN and the IDF officers’ course. She appears nationally in the educational play about Jewish stereotyping, “The Four Faces,” and is currently writing a biography of Nehama Leibowitz z"l.
Rabbi Avraham Walfish holds a Ph.D. in rabbinic literature from the Hebrew University. He is an instructor at the Hertzog Teacher’s Training College at Yeshivat Har Etzion, and at the Teko`a Yeshivah. Yael Wieselberg holds a degree in English Literature from Cambridge University and has taught midrash at seminaries in Jerusalem. A graduate of the ATID Fellows, she is currently completing a doctorate on Maharal in the department of Jewish Thought at the Hebrew University. Dr. Joel B. Wolowelsky is Dean of the Faculty at the Yeshivah of Flatbush and a member of ATID’s advisory board. He is associate editor of Tradition and of the series MeOtzar HoRav: Selected Writings of Rabbi Joseph B. Soloveitchik and the author of Women, Jewish Law and Modernity. Prof. Susan Handelman, a member of ATID’s faculty and academic board, is Professor of English literature at Bar-Ilan University and for many years taught literature and Jewish studies at the University of Maryland. Her books include The Slayers of Moses: The Emergence of Rabbinic Interpretation in Modern Literary Theory and Fragments of Redemption: Jewish Thought and Literary Theory in Scholem, Benjamin and Levinas. She recently co-edited Torah of the Mothers: Contemporary Jewish Women Read Classical Jewish Texts. Rabbi Jeffrey Saks is the founding director of ATID. He received ordination and an M.A. from Yeshiva University, NY, and was previously the director of Yeshivat HaMivtar in Efrat. He was a participant on the Jerusalem Fellows program for senior educators, and has published articles in Tradition, The Torah U-Madda Journal, and the Journal of Jewish Education. Rabbi Saks lives in Efrat with his wife, Ilana, and their children.